Tax-free income regardless of where the income is earned. Belize does not have any Tax Treaties with other countries allowing disclosure of Belize Offshore Company records. Privacy guaranteed since there are no public records of who the directors or shareholders are. The Register of Shareholders can only be inspected be shareholders or by a Belize Court order at the request by a shareholder. The only public filings with the Belize government are a Memorandum & Articles of Association. 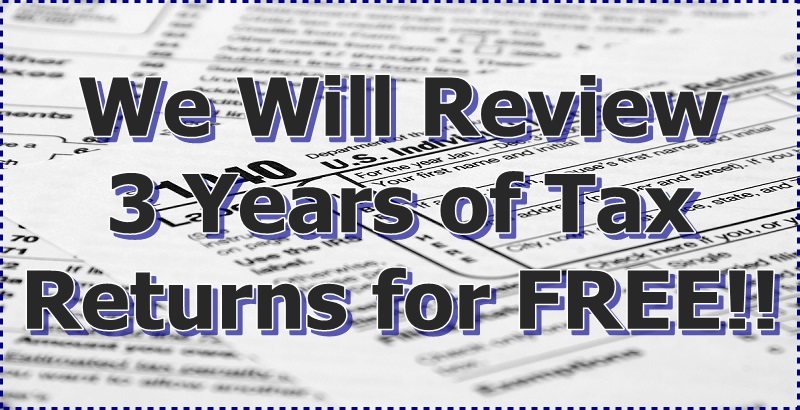 No annual tax returns or audited accounts. Bearer Shares can be used in Belize. Asset Protection worldwide against frivolous lawsuits. Worldwide Banking as Belize Offshore Companies can open bank accounts in Belize or anywhere in the world. Flexibility maintained by having a minimum capital requirement, no annual meetings requires, no local director or secretary required, meetings by directors or shareholders can be conducted in any country and by proxy, only one director and one shareholder is required and directors do not have to be Belize residents. Fast incorporation in Belize usually within one or two days. English is the principal language of Belize. A Belize Offshore Company can conduct business anywhere in the world. Offshore banking using Belize banks is east. You never have to travel to Belize to conduct banking business. From anywhere in the world you can use the internet, e-mail, courier service, or even by telephone simply contacting you banking representative or through a registered agent. You can also obtain Debit and ATM bank cards accepted worldwide. International currencies (including USD) bank accounts can be opened in Belize. Fidelity Overseas Ltd. is a professional provider of offshore company registrations in Belize. They are physically located in Belize City and licensed by the Belize International Financial Services Commission. In terms of Belize offshore companies, they are the “producers” - not resellers. They are narrowly specialized in the offshore services of Belize jurisdiction. Belize offshore company formation is what they do, and that’s what they are good at! This means competent service, quick turnaround and competitive fees. Unlike many “web-only” sellers of offshore incorporations, they are a real, bricks-and-mortar firm on the ground, regulated and licensed by the Belize IFSC. This means that senior members of their staff have been thoroughly vetted for their competence and personal integrity. Under the terms of their financial services license, their firm has met substantial capitalization and quality control requirements. Their clients are private entrepreneurs, high-net-worth individuals, professional consultants, accountants and legal advisors from all around the globe. They are part of the Fidelity Overseas/Fidelity Corporate Services group, having ground offices in several other reputable offshore financial centers. Through their group partners they can provide a unique blend of local expertise in conjunction with a global perspective on the offshore services industry. Their site provides a comprehensive insight into Belize offshore services. It includes detailed service descriptions, order procedures, legislation reviews and a facility to place an offshore incorporation order online. You can also use an individual attorney like Joel Nagel to perform these services or review what has already been done. A Belize International Business Company is formed under the 1990 Belize IBC Act and is considered one of the most modern and user friendly offshore jurisdictions available. A Belize IBC is an ideal corporate vehicle for international financial transactions as the regulations and processes have been designed with the offshore investor in mind. Belize’s laws facilitate fast and effective incorporation and are the ideal jurisdiction for small, start-up international businesses. Belize IBC’s offer a high degree of privacy. Belize will not disclose its banking or fiscal information to any foreign party. Client confidentiality is entrenched in business and corporate legislation. In terms of potential risk of information disclosure to foreign governments Belize is probably one of the securest and most confidential of offshore jurisdictions. No tax at all except for annual government fees (US $100), which has to be paid on time to keep a Belize offshore company registered. No requirements for a company secretary. A bank account can be open for an offshore company in Belize without directors being present. Argüelles & Company LLC specializes in incorporation and annual maintenance/filings of Local (“LTD”) and International Business Companies. These companies are ideal for local investment, landholding or normal business activity within Belize. They are referred to as “Local Companies”, “Cheaper 250 (from the number of the actual legislation) or “LLC’s”. When properly structured, they can provide Asset Protection, Tax Minimization and Confidentiality. While these compared to an International Business Company (IBC-discussed below) vary with regard to which aspect one is dealing with, they can generally protect the investment form frivolous lawsuits against the owner or owner’s associated companies. Separate legal status/entity is a vital and recognized aspect of Belize law. Annual Filings are due and reveal normally, the minimum requirements being at least two directors (can be corporate directors) their addresses (or in some instances, Nominee Directors for added confidentiality) and shareholdings. This filing requirements is not mandatory for the IBC. There are no restrictions on foreign ownership (can extend to 100%), repatriation of profits or transfer of ownership. Naturally, there are some very important permissions to be obtained but the firm assists with all such required permits and consents as a matter of routine. Incorporation time is 24 hours subject to name availability and client is provided with Articles and Memorandum of Association, Certificate of Incorporation, Share & Director Registers, Resolutions and Powers of Attorney if required. A brief synopsis of required business notices and postings together with annual reminders are standard so that your company is never in danger of being struck off. Arguelles & Company LLC also assists (if structures to be set up do not circumvent them) in procuring Trade Licenses, and all requires tax registrations such as General Sales Tax, Income and Business Tax or Social Security Registrations. These companies are available for most business in Belize but are generally set up to hold land and operate resorts. Foreign Companies can also be registered in Belize without re-incorporating as an “Oversea Company doing business in Belize” or can “Continue” under the IBC legislation. These are companies that are set up to take advantage of Belize’s emerging reputation as well regulated and international financial structuring center. They can do business only with non-residents of Belize but can have an office (only) in Belize and access Belize Offshore banks to open and maintain USD, Euro, Canadian and Sterling accounts. Retirees who fall under the QRP Program also can qualify for this benefit while residing in Belize. IBC’s are 100% tax free and subject to favorable reporting and filing requirements. Meetings can be help worldwide and there are no exchange permissions required, of currency conversion requirements. Belize Trusts have no gestation period (usually 2 years) as Trusts in other countries. They are valid and effective from date of incorporation provided there is no duress, fraud or mistake and have been judicially interpreted to withstand claims of creditors, spouses and foreign tax agencies/governments. More information on this aspect including select cases can be obtained through further contact. Trusts are used as an additional level of ownership for real estate, Chapter 250 and IBC’s, International Intellectual Property structuring and can be set up to ensure a smooth transition (I.E. avoiding Probate costs and delays) up death. The office of “Protector” is also recognized under the Belize Trust Act. The Settler can appoint anyone of trust (or appropriate qualification) or his choosing to act in this capacity to supervise and monitor the trustee and duration of the Trust. Both IBC and Trust registries offer maximum confidentiality to the inner workings, structures and parties concerned. Offshore companies cannot conduct business inside Belize or carry on business with Belize residents. Offshore companies cannot own real estate in Belize. Offshore companies cannot conduct business as a bank, insurance company, reinsurance company, trust services, or collective investments. Offshore companies must have a Registered Agent and a Registered Office in Belize. An Offshore Company cannot be in the business of providing a registered office for other companies. Offshore companies cannot issue its shares, stocks, debt obligations, or any other securities to residents of Belize or to local companies. Offshore companies cannot hold stocks, shares, debt obligations, or any securities of Belize companies. The International Business Companies Act (IBC), Chapter 270 of the Laws of Belize introduced in 1990, created a special category of companies called the International Business Company. This is a special classification of forming companies to be used solely for offshore activities. These companies differ from typical Belize companies because offshore companies do not conduct business or own real property within Belize. Since International Business Companies do not conduct business inside Belize, they are not subject to any taxation. Panama Offshore Legal Services can form a Belize Offshore Company, also known as a Belize IBC, through our exclusive relationship with an established Belize law firm. Tax Free income regardless of where the income is earned. Belize does not have any Tax Treaties with other countries allowing disclosure of Belize Offshore Company records. Privacy guaranteed since there are no public records of who the directors or shareholders are. The Register of Shareholders can only be inspected by shareholders or by a Belize Court order at the request by a shareholder. Offshore banking using Belize banks is easy. You never have to travel to Belize to conduct banking business. From anywhere in the world you can use the internet, e-mail, courier service, or even by telephone simply contacting your banking representative or through a registered agent. You can also obtain Debit and ARM bank cards accepted worldwide. International currencies (including USD) bank accounts can be opened in Belize.